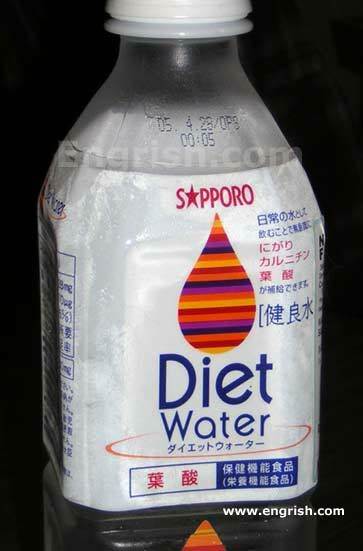 It seems like every week there is a new diet out there of one kind or another. I am not a diet expert nor am I am medical doctor, but I think you might want to stay away from the following diet strategies. Move Out of the Swamp – In the early 1700’s, Thomas Short wrote a treatise called “The Causes and Effects of Corpulence,” in which he observed that heavier people tended to live near swamps. His simple diet was one step – move out of the swamp. While this proved a fairly easy diet to follow, the move out of the swamp did not lead to significant weight loss. Liquefied Diet – About one hundred years ago, Horace Fletcher stumbled upon the idea of chewing your food until it became liquefied before swallowing. Fletcher took this diet to extremes, arguing any food that doesn’t liquefy shouldn’t be consumed. While this might work for a number of foods, there are some that just will not cooperate, like fiber. The Cigarette Diet – It’s hard to imagine that smoking cigarettes would ever been seen as promoting good health, but in another day and age, they did just that. Close to a hundred years ago, several cigarette companies boasted the appetite-suppressing qualities of their products. One ad for Lucky Strikes urged smokers to “Light a Lucky and you’ll never miss sweets that make you fat.” Of course they neglected to mention you will not miss sweets because you will not be able to taste anything. Tapeworm Diet – In the 1950’s people learned that tapeworms cause weight-loss in their hosts. Seizing a great marketing opportunity, people jumped on the tapeworm train and started ingesting baby tapeworms in order to eat without gaining a pound. However, those jumping on the train did not realize that those not-so-cute baby tapeworms could grow up to 25 feet long in the intestine. The Prolinn Diet – In the 1970s, Roger Linn, MD, advocated eating nothing at all. Well, not quite “nothing” there was the “miracle” liquid which, of course, he developed. He humbly called his miracle liquid “Prolinn”. What was in this miracle diet liquid? Prolinn consisted of ground animal horns, hooves, hides, tendons, bones and other slaughterhouse byproducts that were enhanced with artificial flavors, colors and enzymes to break them down. I understand how appealing this might sound to you; however, the daily allotment of Prolinn provided only 400 calories, and zero nutrients. I guess one would lose weight if one stuck to this. It makes Slimfast sound decadent, doesn’t it? Air Diet – The genius of this one is its simplicity and its cost. No programs to attend, no food to buy, no counting of calories, just pretend to eat. Feel free to load up your plate, grab a fork and knife, and bring real food up to your mouth, just don’t actually eat it. Mimicking the act of eating will, supposedly, make you feel satisfied. The good news is that you are allowed to eat unlimited amounts of water “soup”. The wonderful soup is also quite easy to make (the only ingredients are water and salt). This is great because you will not waste a lot of time and effort as you whip up a hot, steaming bowl of NOTHING. Good luck in your search for the perfect diet. As for me, there is a Sundae Cone calling my name at the moment. This entry was posted in Humor and tagged Diets on July 7, 2015 by Leonard. Your post today reminds me of two of my favorite sites, and I offer them because I think that you will enjoy them, too: http://www.damninteresting.com (says it all, I think; highly eclectic) and http://www.failuremag.com. The second one needs a bit of explanation. When the site began, its intention was to show how the failures of humankind had as much if not more influence on the course of the species as successes. Today, it doesn’t always adhere to that founding principle, but it’s almost always enjoyable and/or provocative reading. When I diet, I find the simplest one to follow is really the low food diet. My wife cooks up 2 eggs 4 pieces of bacon, and serves with it 2 slices of toast and a cup of coffee. I give her one of the eggs, 2 slices of bacon and a piece of toast. I eat the rest. Lunch is done the same way, what ever she serves I cut in half and share it with her. Dinner is the same way. I eat a half portion. This gives me plenty of food, and I lose weight very slowly. I still eat what I like, only half as much. I am down to where I am not losing weight on that, so will be what ever weight I am until the Lord calls me home. By the way, you might get a kick out of the Failure Baseball Cap. I bought one, lost it, and ordered another one. I used to wear it at my classroom door on test days and told my kids that it was my lucky hat – no one ever failed when I wore it. Now, I think I should wear it when the examiners come in.